Though Darting has a history of grape growing dating to 1780, it was not until 1989 that the winery began to sell all of their grapes as wine under their own label. The family also maintains a highly regarded vine nursery, selling their grafted vines throughout Germany. Vineyards in the hills around Bad-Dürkheim are prime sites, planted on south facing slopes of marl and chalky limestone. 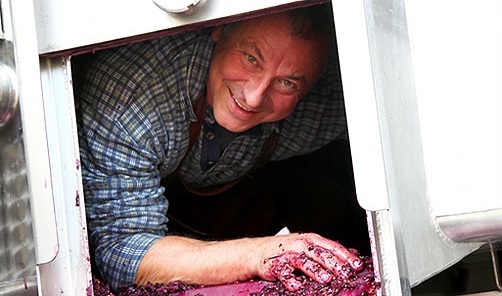 Current winemaker Helmut Darting is a protégé of famed winemaker Hans-Günter Schwarz, having completed his studies with a practicum at Müller-Catoir. You can see this influence in the reductive winemaking techniques Helmut employees at the winery. He believes firmly in minimal-intervention winemaking as he feels that “every time you handle a wine, you diminish it.” These practices include fermenting as slow as possible at a cold temperature in stainless steel, using only natural yeasts, and avoiding the introduction of oxygen in the winemaking process. Red wines are fermented on their skins in stainless steel and then transferred to large oak casks. The only time the wine is handled after the first racking is to finish the wine by bottling. Resulting wines preserve the original grape character and showcase the outstanding vineyards they hail from.